After arrival at Hyderabad. Check in at the hotel. 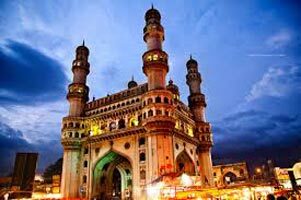 Half day Sightseeing at Hyderabad. 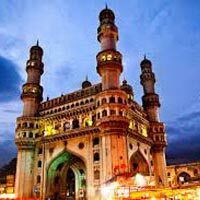 Overnight stay at Hyderabad. Early morning after breakfast, leave for Ramoji film City. Full Day enjoy the Film city. Dinner & Night halt at Hyderabad. After breakfast proceed to Nagarjuna Sagar. Visit Nagarjuna Sagar Dam. Afternoon proceed to Srisailam. Overnight at Srisailam. After breakfast leave for Sightseeing. At Afternoon Leave for Hyderabad. Remaining for Leisure. After breakfast leave for full day Sightseeing. At evening leave for railway station or Airport. Tour ends with sweet memorable experience.